We are rendering Architecture Planning Services to our patrons. Due to prompt completion, our offered service is extremely admired in the market. Our service meets on client’s demand. Moreover, we render this service as per patron’s demand. Our rapidly growing organization is engaged in offering 3D Architectural Designing Service. This service is highly admired by our clients for its timely completion of undertaken projects and reliability. The offered service is conducted with the help of modern machines and advanced techniques. Customers can avail this service from us in customized options as per their requirements. Aayam Architect & Desingner Pvt.Ltd. In the age of perfection, everybody wants excellent designs for homes, offices and multi storied buildings. 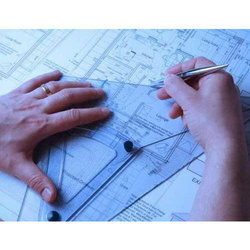 Steel Structural Consultant offers state-of-the-art Architectural design services to the clients and customers. The corporate strategy is primarily focused on cooperation with companies, system integrators and software developers owing to cultural and linguistic proximity, possibility of close integration in carrying out joint projects since there are no time differences and business trips are easy to arrange.